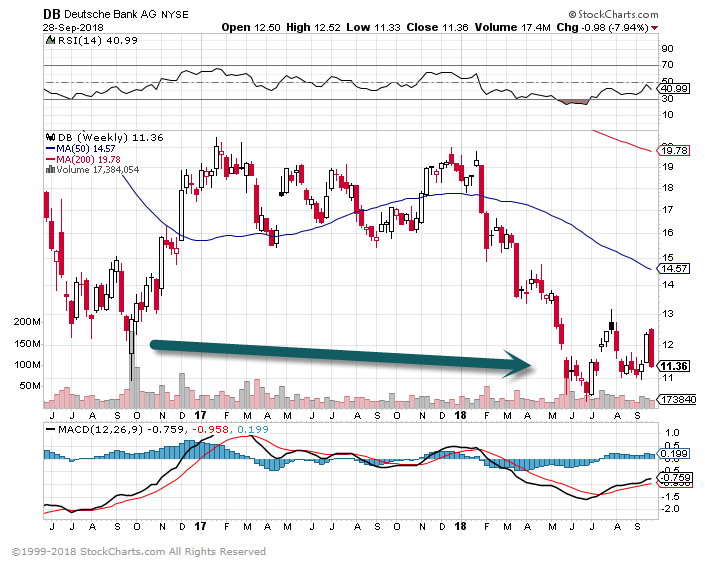 Deutsche Bank Below 2016 Levels. China has started unloading Treasuries, signaling that they could use their $1.2 trillion in U.S. government debt as a potential bargaining chip in trade negotiations. 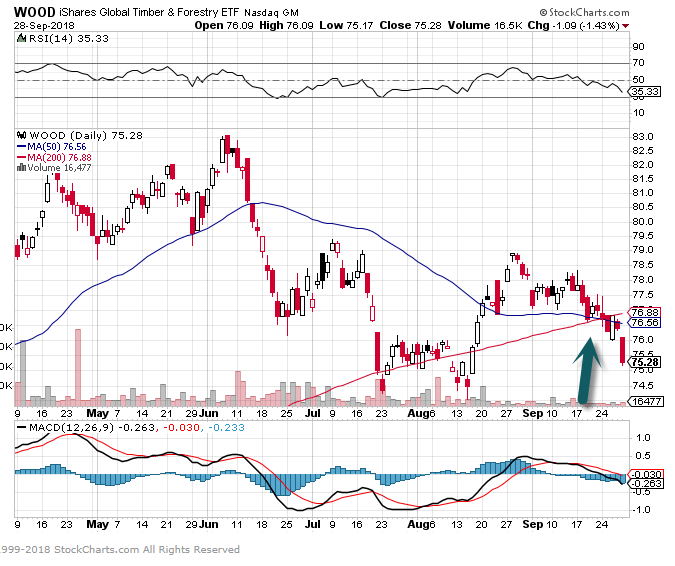 As shown in the LPL Chart of the Day, China’s Treasury holdings declined to a six-month low in July. China’s Treasury holdings have also dropped for two straight months for the first time since November 2016. China may use its massive position in U.S. Treasuries to inflict economic pain on the United States by driving up borrowing costs, but we think the probability of significant selling is low. While China’s Treasury holdings have declined, they’ve fallen only about $12 billion, or 1%, over the last two months. The economic relationship between the U.S. and China is somewhat symbiotic: China extends credit to the U.S. (via Treasury purchases) so the U.S. can purchase goods from China (as its largest trading partner). If China sells enough Treasuries, the impact on the U.S. economy can significantly curb demand for Chinese goods, leading to an inevitable downturn in its own economy. China’s selling could also boost the yuan’s value versus its peers, which could weigh on demand for China’s exports. As shown in the chart, the yuan climbed 6% versus the U.S. dollar in June and July, in tandem with the selling. Harvard University (ever heard of it?) 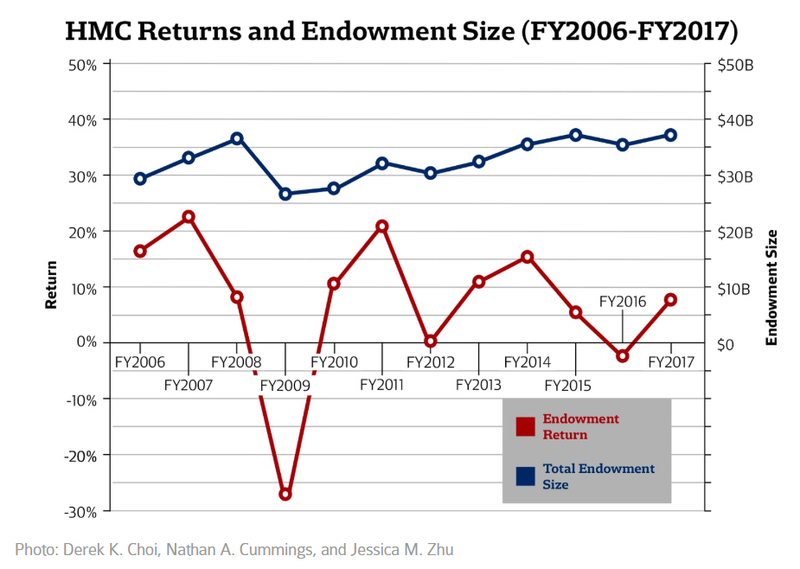 returned 10% on its endowment in fiscal 2018. It’s now up to $39.2 billion…and yep, it’s still the world’s largest. And it feels like a low blow because we’re actually writing this newsletter at a coffee shop in Harvard Square (we’re here for the Forbes Under 30 Summit)…but we should note the endowment didn’t perform as well as a few of its peers. 5.2018 Vs. Typical Mid-Term Election Year. Democrats need to win a net two seats in this year’s midterm elections to gain control of the Senate, and a net 23 seats to gain control of the House. All 435 House seats are up for grabs this November, and, like in the Senate race, stakes are high given the current political climate. 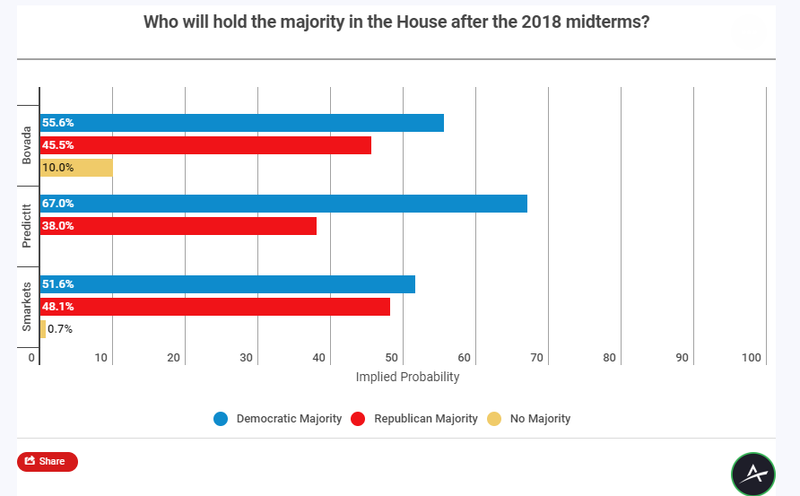 Bovada (55.6% implied probability) and Smarkets (51.6%) have the Democrats as slight favorites to win the House, while PredictIt (67.0%) is more bullish on their odds. 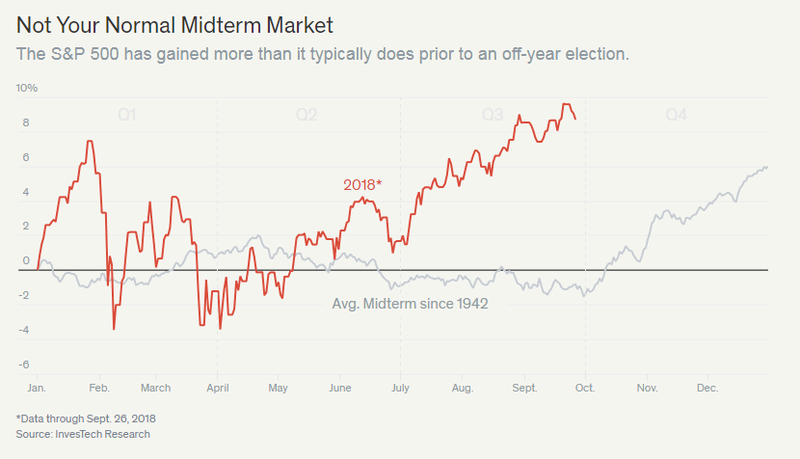 Per PredictIt, the market suggests there’s a relatively high 9% chance of the Democrats winning in a landslide — 251 or more seats. 7.Homeowners are sitting on a record $6 trillion in equity. Why aren’t they using it? American homeowners have amassed a record $6 trillion in equity in their properties, a figure boosted by surging home prices and a trend of owners staying put longer. 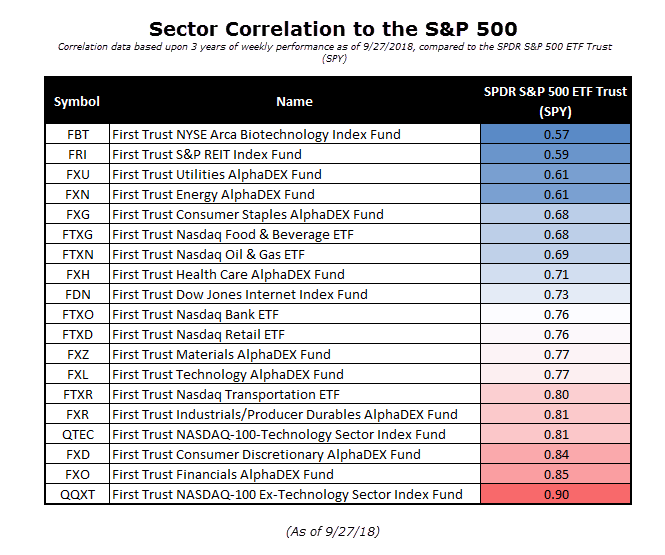 But rising interest rates and caution resulting from the housing troubles of a decade ago are limiting how much of that equity is getting tapped. 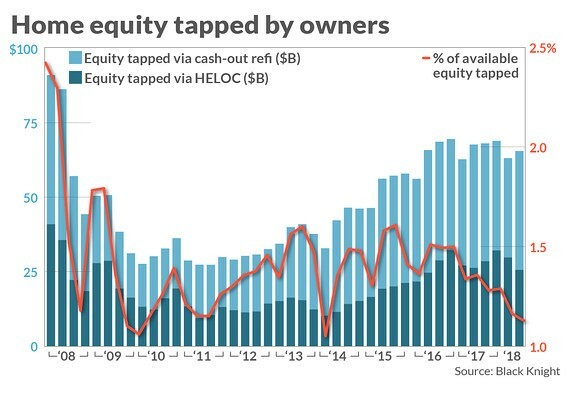 “Tappable” equity” – that amount of home equity that can be withdrawn and still leave owners with at least 20% equity in their homes – topped $6 trillion for the first time ever in the second quarter, according to real estate data provider Black Knight. That’s 21% higher than in the pre-crisis peak, from 2006. And it means 44 million households have equity available to them to help pay education costs, renovate the house or anything else they’d like. But only $65 billion was withdrawn in cash-out refinances or home equity lines of credit in the first quarter, Black Knight reported. That’s more than 3% lower than the same period last year. Black Knight thinks rising interest rates have a lot to do with it: The cost of financing a HELOC averaged 5.83% in the second quarter, up 30 basis points from the first quarter and nearly a full percentage point higher than a year ago. It’s also the case, as MarketWatch has reported in the past, that Americans are scarred by the housing bust. During the bubble years a decade ago, lenders pushed far too many exotic products that made homes into ATMs. Even with stricter post-crisis underwriting and rosier fundamentals, many consumers remain exceptionally conservative in their borrowing habits, at least when it comes to their homes. In the most recent week, only 6% of mortgage applications were adjustable-rate, according to the Mortgage Bankers Association. Meanwhile, rising rates are making it much harder for homeowners to do traditional refinances that allow for lower monthly payments. “Rate refinances” fell 62% in the second quarter compared to a year ago to the lowest quarterly total ever recorded: 106,000, Black Knight said. 8.Homeowners are Staying Put and Millennials are Still Renting. 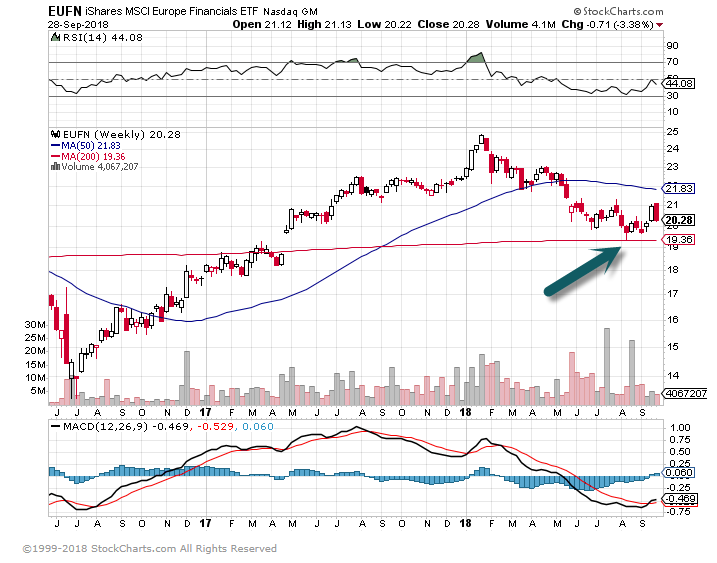 Lumber prices fall 45% this year, sending macro message? Home and Lumber prices can send important messages to how the economy is doing. The chart above looks at Lumber prices over the past 11-years. 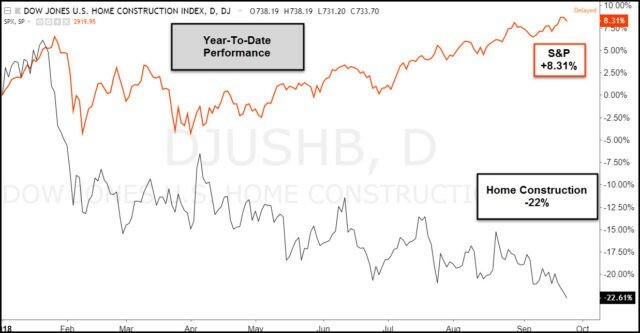 So far this year, Lumber and the DJ Home Construction index is diverging against the broad market. This chart highlights that Lumber is now down over 40% from its peak earlier this year. Investors might want to keep a close eye on Lumber and the Home construction index going forward, due to weakness in this sector could be sending an important message about the macro picture going forward! WOOD-Lumber indicator for housing…50day thru 200day to downside. 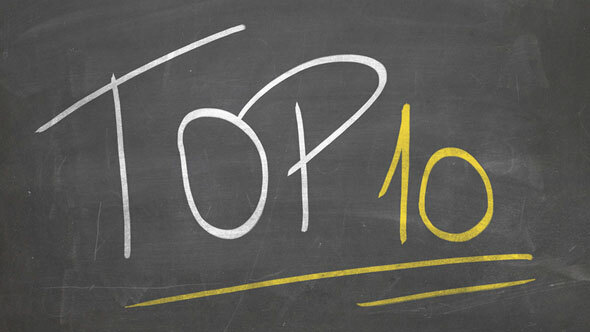 Seeking a high-performing hedge fund manager? Try hiring one who drives a minivan.In a perhaps unsurprising new study, university researchers found that hedge fund managers who own sports cars make riskier investments, while minivan owners were found to be more cautious investors. The paper, which is forthcoming in the Journal of Finance, was based on public records for vehicle purchases, which the authors used to identify cars owned by 1,144 U.S.-based hedge fund managers. This is what the Amazon founder looks for when he wants to know if someone is really smart.Amazon founder Jeff Bezos sits atop one of the most successful companies of our time, not to mention a personal fortune of some $150 billion. I think we can all agree that by any meaningful definition the guy is pretty smart. It’s also obvious he has a talent for surrounding himself with other smart people who can help make his vision reality.